If you are looking for chimney cleaning, sweeping and repair in Bristol, Connecticut, then Creative Masonry & Chimney is the right place to go to. Most property owners rely on OSHA certified and licensed Creative Masonry & Chimney for their needs for chimney cleaning, sweeping and repair in Bristol, Connecticut. With a vast experience of 30 years, we have a 5-star rating for providing the safest and most reliable chimney cleaning, sweeping and repair in Bristol, Connecticut. 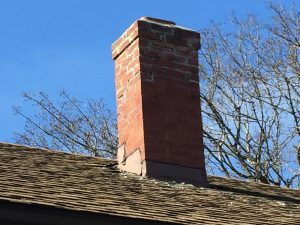 When it comes to chimney repair service in Bristol, Connecticut, our expert technicians are fully skilled in chimney repointing, relining along with repairing chimney liner and caps and diagnosing for any kind of water leaks. Chimney Rebuilding: Our chimney rebuilding services comes handy when your chimney has been so deteriorated that it cannot be repaired or you when you wish to further enhance the aesthetic of your house. Chimney Repointing: Deteriorating of the mortar in the joints between the bricks is a great safety hazard and our chimney repointing service ensures complete protection. Chimney Liners: We offer the highest quality chimney liners in Bristol, Connecticut to protect your home from heat and corrosion. No job is too big or too small for Creative Masonry & Chimney. When it comes to chimney cleaning and sweep services in Bristol, Connecticut, our expert technicians are fully skilled in chimney cleaning and sweeping. We understand the importance of chimney cleaning services in Bristol, Connecticut for the safety of our clients. With our chimney cleaning services in Bristol, Connecticut, rest can assure that your property is secured from any chimney related accident. Chimney Inspection: We thoroughly inspect your chimney for necessary cleaning requirements and ensuring the complete safety of your home and family. We have highly trained experts for every service and we never send an unskilled technician for a job. We have respective technicians for chimney cleaning and repair services. To ensure the complete satisfaction of our clients we offer outstanding customer services. For all your needs for chimney cleaning, sweeping and repair contact Creative Masonry & Chimney today.